6'3" (1.91m) 220 lb. 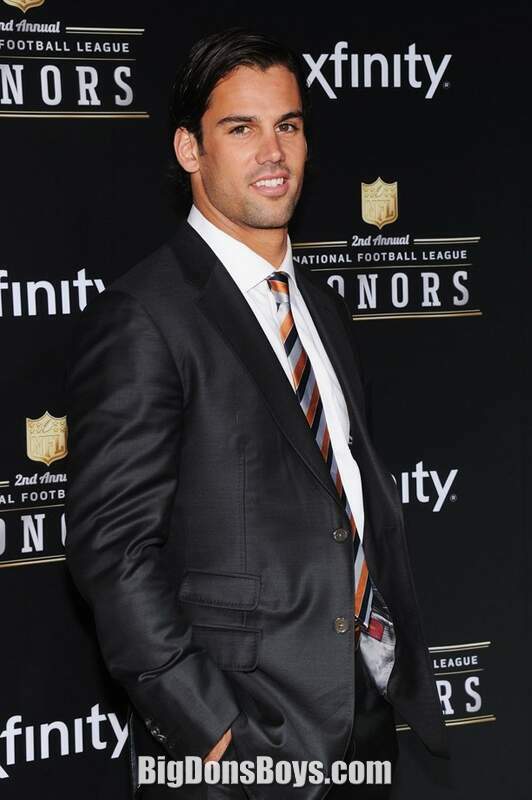 (100 kg) Eric Decker (born 1987) is an American football wide receiver for the Denver Broncos of the National Football League (NFL). 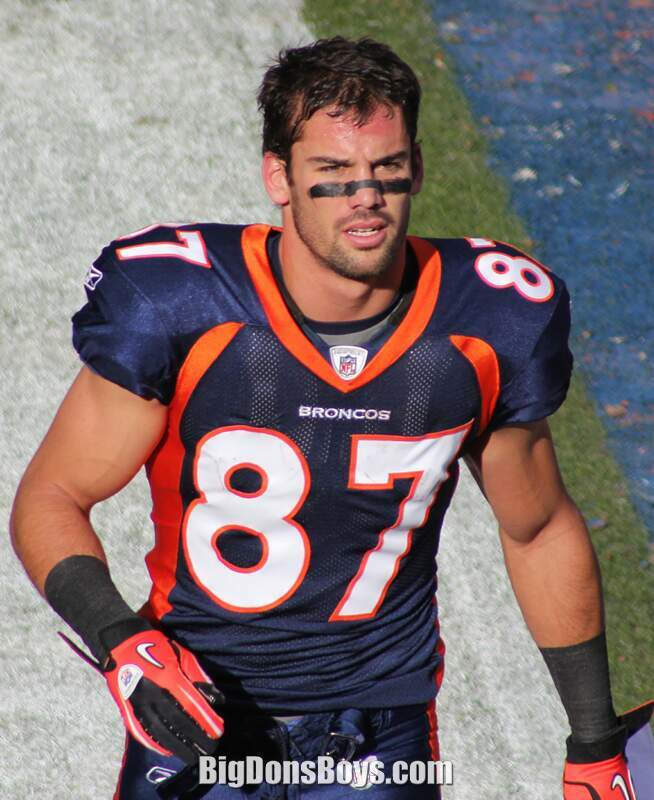 He was drafted by the Denver Broncos in the third round of the 2010 NFL Draft. He played college football and college baseball at Minnesota, where he earned a bachelor’s degree in business and marketing. Decker played outfield for the Minnesota baseball team. He was selected in the 39th round of the 2008 Major League Baseball Draft by the Milwaukee Brewers and the 27th round of the 2009 Major League Baseball Draft by the Minnesota Twins. 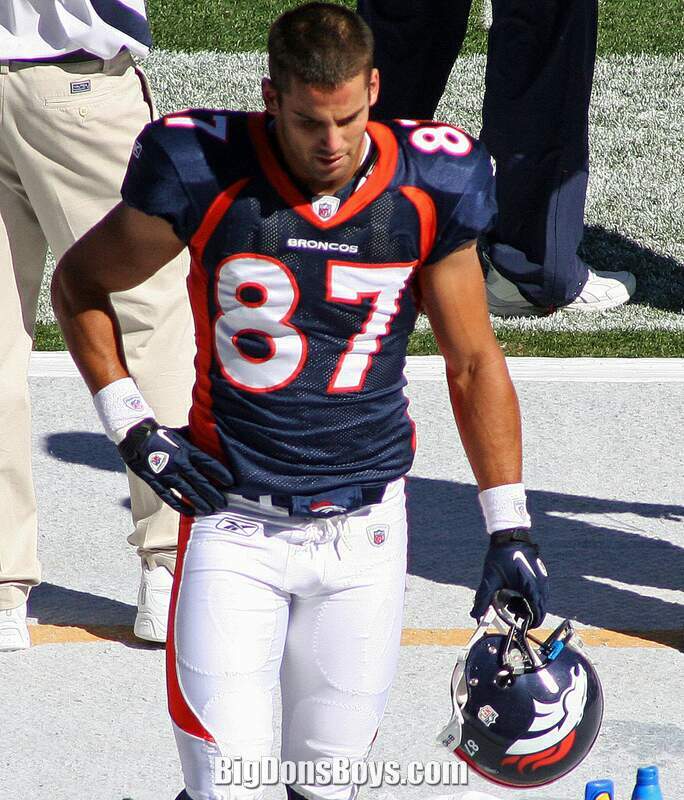 Decker was drafted by the Denver Broncos in the third round (87th overall) of the 2010 NFL Draft. 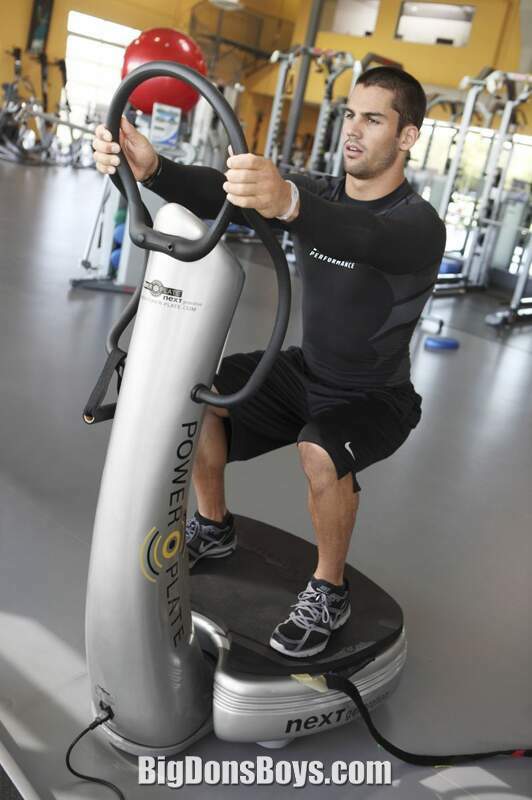 Because of a foot surgery, Decker sat out the Broncos rookie mini-camp and OTA's. Broncos head coach Josh McDaniels said he hoped he'd be ready by the season's opener, “At this point we’re going to err on the side of being real careful and not put them in a situation where (it’s) the last day of minicamp on June 13th and all of a sudden we have a foot injury," said McDaniels. 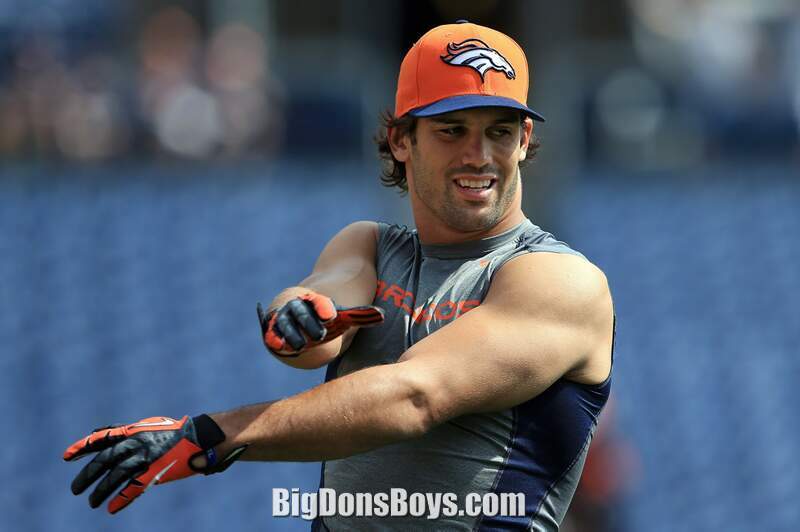 "Hopefully everybody will be ready by August.” On July 27, 2010, the Denver Broncos signed Decker to a 4 year contract. 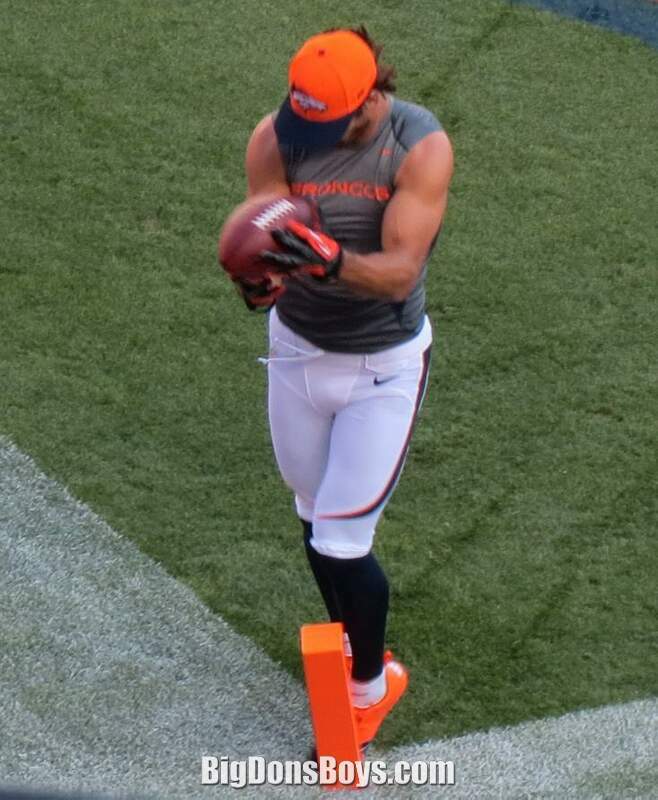 In the preseason, Decker led all NFL rookies in receptions, but due to the Broncos' depth at receiver, Decker didn't see much action in the offense until late in the regular season. He did contribute on special teams however, recording seven special teams tackles while returning 17 kickoffs for 429 yards giving him a 25.2 yards per return average. Toward the end of the 2010 season, the Broncos did start to mix Decker into the offense more, after fellow rookie Demaryius Thomas (a first round draft pick) went down with an injury. Decker finished his rookie season with 6 catches that went for 106 yards and one touchdown—a six-yard score off a Tim Tebow pass. 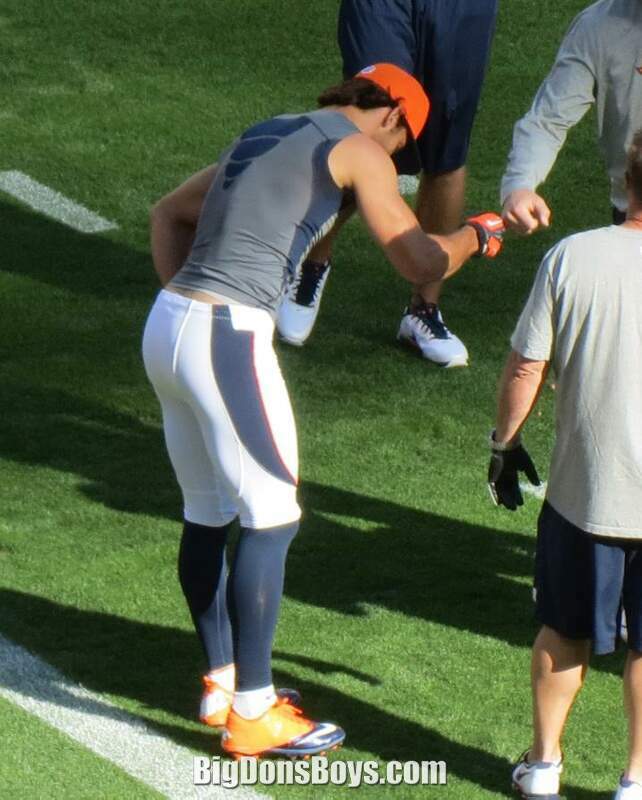 Decker's role in Denver's offense expanded in 2011. 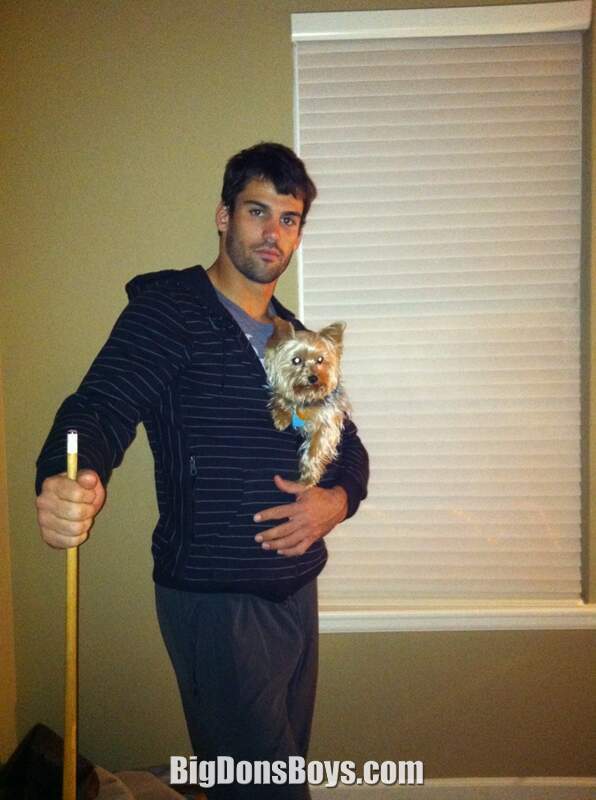 In a Week 1 Monday Night Football loss to the Oakland Raiders, Decker returned a fourth quarter punt 90 yards for a touchdown, but the Broncos lost 23-20. In Week 2, making his first career start, Decker hauled in 5 passes for 113 yards and 2 touchdowns, the second on a 52 yard catch in the 4th quarter as Denver recorded their first win of the 2011 season, 24-22 over the Cincinnati Bengals. 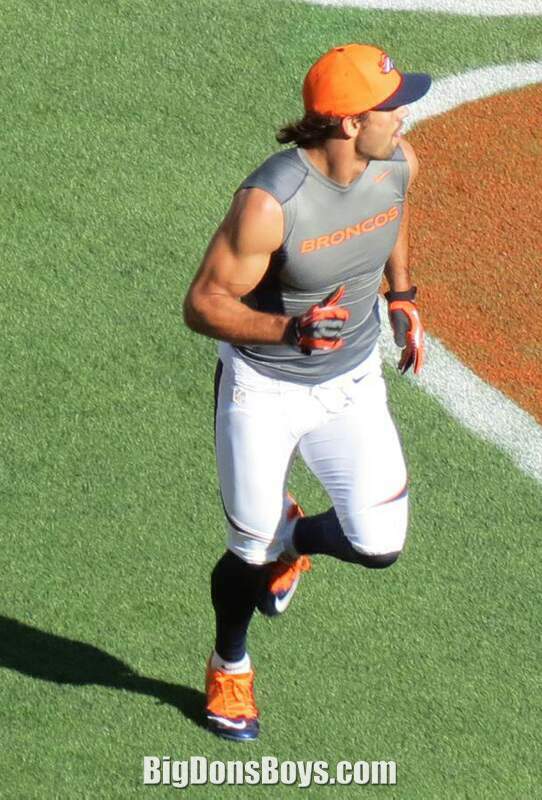 On September 25, in Denvers week 3 17-14 loss to the Tennessee Titans, Decker had a career high 7 catches for 48 yards. Over the next 4 weeks, Decker continued his steady play by hauling in 18 passes for 192 yards and 4 touchdowns. On November 13, in a Week 10 divisional road game at Arrowhead Stadium against the Kansas City Chiefs, starting quarterback Tim Tebow attempted a pair of deep passes for Decker, the first almost being hauled in off a deflection and the other being knocked down by the defender. 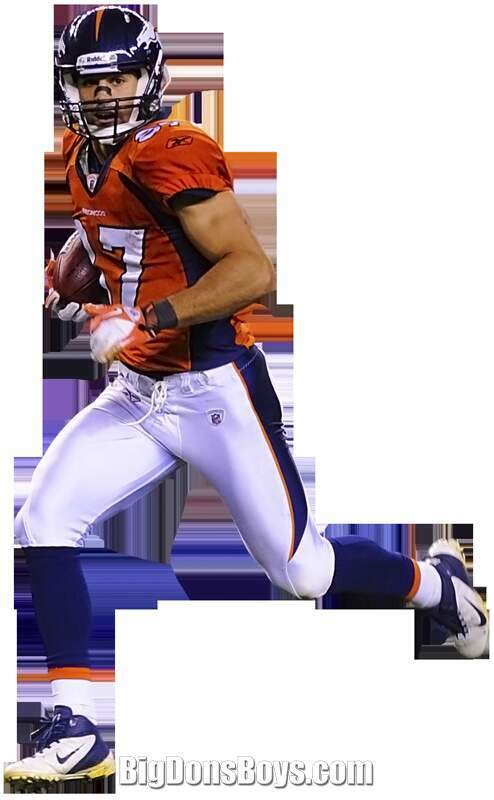 But in the 4th quarter, with Denver hanging on to a slim 10-7 lead, Tebow hit Decker on a go route deep for a 56 yard touchdown catch, Decker's only catch of the game and only Tebow's 2nd completion, as the Broncos won 17-10 to move into a second place tie in the AFC West with the San Diego Chargers and Chiefs. 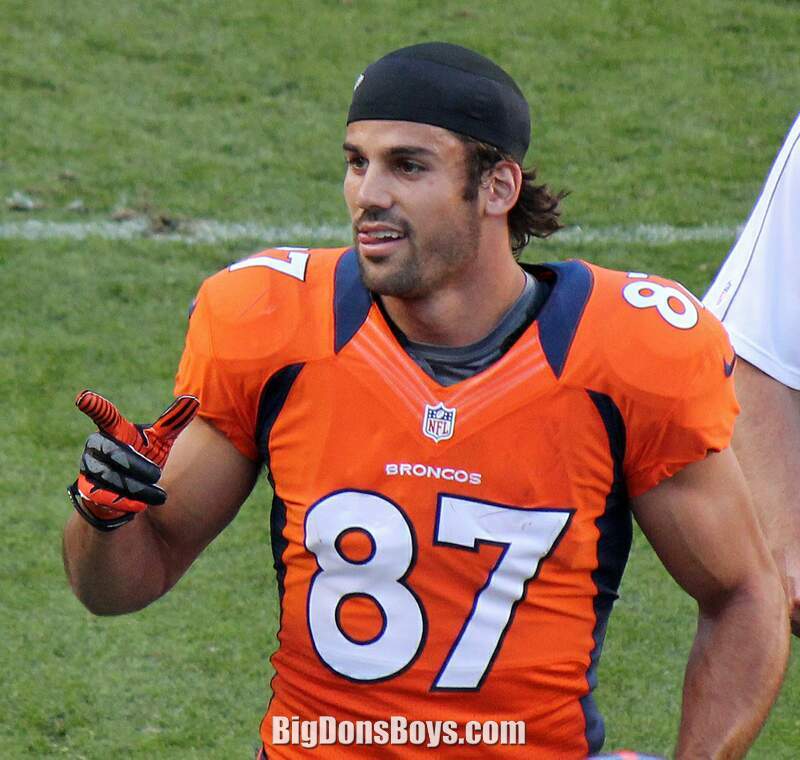 In the first round of the playoffs against the Pittsburgh Steelers, Decker was taken out of the game due to injury. Heading into the 2012 regular season, Decker seems primed to have a productive year with quarterback Peyton Manning now running Denver's offense. On May 12, Denver Broncos' offensive coordinator Mike McCoy noted that Decker and fellow receiver Demaryius Thomas are "like two little kids in a candy shop right now," when asked about the receivers eagerness to work with Manning. 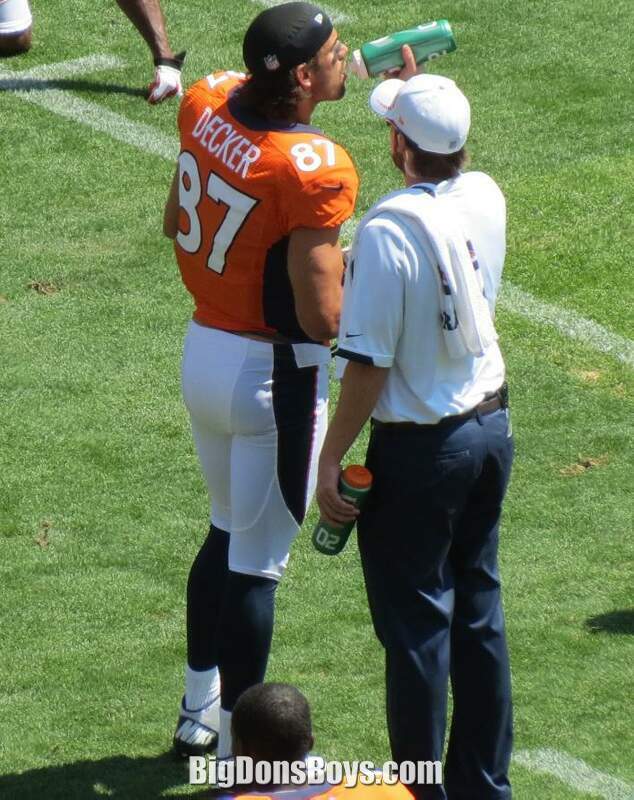 In April, Decker attended a Colorado Rockies' baseball game with Manning and began workouts with him prior to training camp. 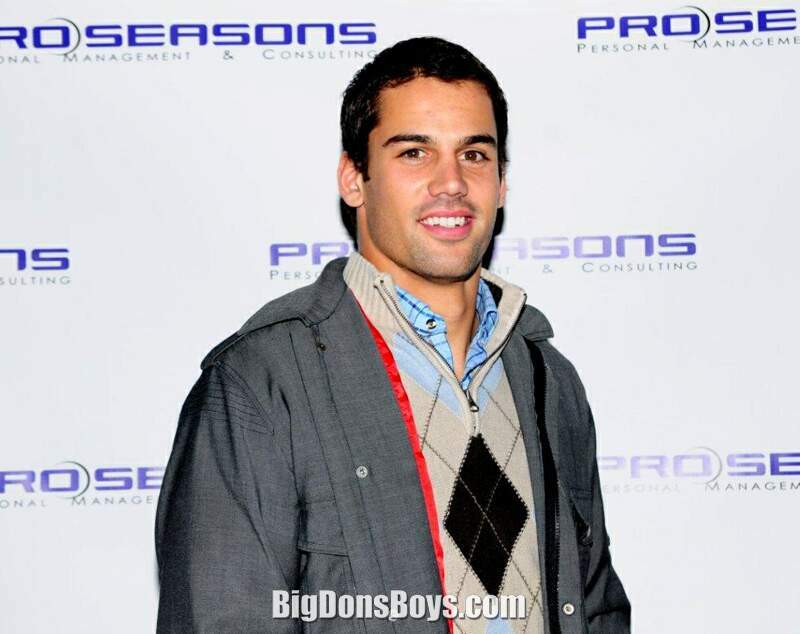 Eric Decker had a breakout season in 2012. He had 85 catches for 1,064 yards and 13 touchdowns. He was number 20 in the league in terms of yards for WRs and the 13 touchdowns was the second most among WRs in the 2012 season. 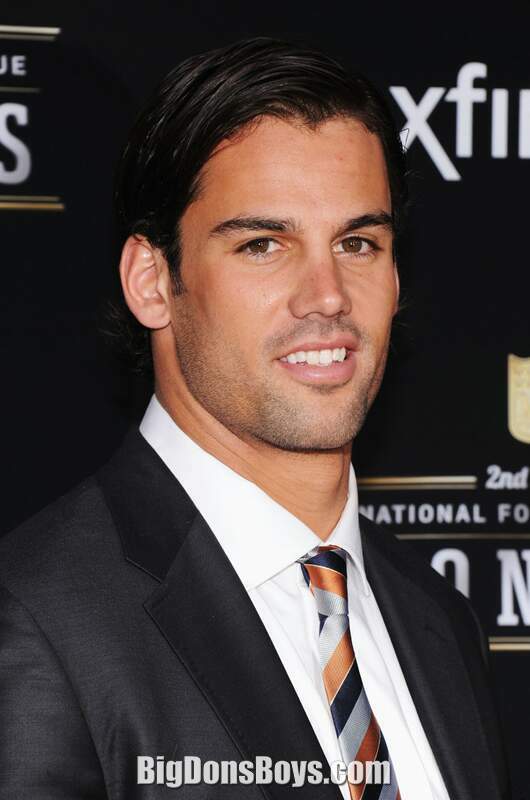 Decker is currently engaged to country singer Jessie James (the girl not the horrible murdering outlaw).